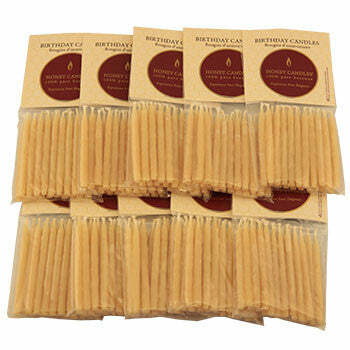 A pack of 20 beeswax birthday candles. Royal colors (4 each mountain jade, blue, tangerine, natural and red). Pastel colors (4 each spring crocus, mountain jade, perl, paris pink and glacier teal).